Discussion in 'Displays' started by Martin Dew, Apr 10, 2019. Cool. Is this pixel-shifting or native 4k? Based on the review that I saw on this at AVS it is pixel shifting. Something like this could very well be the replacement for my trusty Epson 5030. 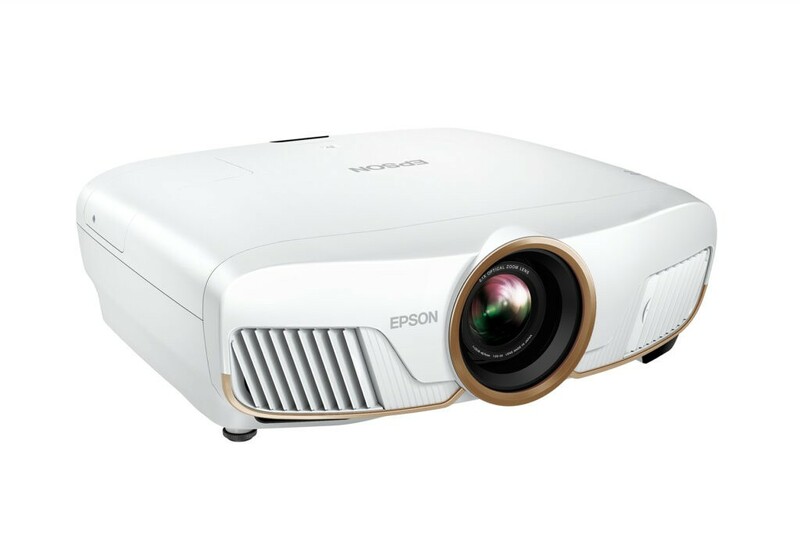 No plans or budget to upgrade in the foreseeable future, but I think I'd be inclined to stay in the Epson family given how positive an experience I've had with my last two Epson projectors. Glad to see 4K options continuing to be updated in the sub-$5000 price range. I wish that the price wasn't so extreme still with the really desirable models still closer to $10k. But I guess we're getting there. And it's a lot better than even three years ago when the good 4K were north of $25k. 3D is still a bigger priority for me than 4K - I have zero desire to watch a 2D 4K presentation of something I have in 3D. That’s part of what’s holding me back on an upgrade. The majority of new releases I’m picking up still have a 3D component. But I think the writing is on the wall there, and in a year or a couple years it may be the case that home options are exclusively 2D. When that day comes, I’ll probably then get more serious about 4K. Or, if I win the lottery, that could do it too. It’s a testament to how well Epson builds their stuff that I’m five years into owning their 5030 and I’m still just as satisfied as the day I got it. I wish I had a bigger room so I could get a bigger screen, but the unit itself is still great. I haven't read anywhere that states that the Epson 5050/6050 has 3D. I read the spec sheet on their website which indicated that it did. As does the review on AVS. As the newest version in the ub50xx line, it really wouldn’t make sense for them to start dropping features like 3D or lens memory. As I recall every time a new projector comes out the retail sites fail to list 3D as a feature because Epson doesn't consider 3D to be that big a deal and they bury any mention of it in the fine print. Eventually the retailers will update the specs to include it. I think that’s a great approach - they keep the feature there for those of us that want it, but don’t scream about it so loud that the anti-3D brigade would start demanding that since they don’t use it, it should be removed to lower prices. It’s just there for those who want it, no need to make a fuss. I like that. John Dirk and Mark-P like this. I'm still using a 6030UB, but I'm reticent to go with Epson for my 4K upgrade. I had persistent problems in California with dust bunnies in the light path, despite repeated filter changes, and had to return three units. Some of the replacement units from Epson came with dust bunnies straight out of the box. Has anyone else had this problem or has light path protection been improved? I'm considering a DLP model for next time. BTW, I'm very happy with my JVC, but if I was buying today I'd be strongly considering this Epson. John Dirk and Bryan^H like this. This thing is really putting me in that "impulse buy" sort of mood. I thought I'd be pro-Optoma for life, but this Epson is attractive, and has already checked off all of the 'need' boxes for what I'm after. I promise myself I will watch 3 YouTube reviews before purchase, if everything checks out it is going to be a bad day for my credit card.